Shirley Peng manages the state-wide Disaster Relief Project. She has worked at Legal Aid of Nebraska since December 2009 and is passionate to the mission – to provide quality civil legal aid for those who have nowhere else to turn. 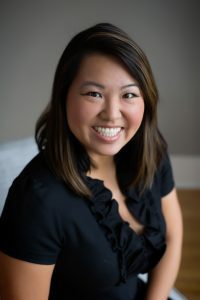 Shirley graduated in 2006 from the University of California – Los Angeles, with a Bachelors of Arts in Psychology and in 2009, obtained her Juris Doctorate from the Chapman University School of Law. Her expertise is in representing clients in social security disability, bankruptcy, and other public benefits, consumer and tax cases. Shirley is licensed to practice in Nebraska and California, the United States District Court for the District of Nebraska, the 8th Circuit Court of Appeals, the United States Tax Court, the Ponca Tribal Court, the Winnebago Tribal Court, the Santee Sioux Nation Tribal Court, and the Omaha Tribal Court. She can be reached at speng@legalaidofnebraska.com. Heather Bernt is a Paralegal for the Disaster Relief Project. She has worked at Legal Aid of Nebraska with various projects since February 2005. Heather graduated from the College of Saint Mary where she majored in Paralegal studies. 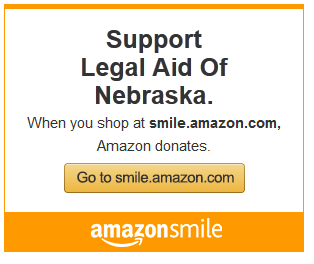 She can be reached at hbernt@legalaidofnebraska.org. Anna Tremmel is a Paralegal for the Disaster Relief Project. She has worked for Legal Aid of Nebraska since February 2015. Anna graduated from SCC-Lincoln where she majored in Office Professional which is similar to Business Administration. She can be reached at atremmel@legalaidofnebraska.org.